Well-known hacker and developer tihmstar has taken to the world of social media to announce that he is working on an exploit for iOS firmware up to 11.4.1. This will be particularly good news for anyone who has rejected iOS 12 and is patiently waiting for something to happen on iOS 11.4.1. 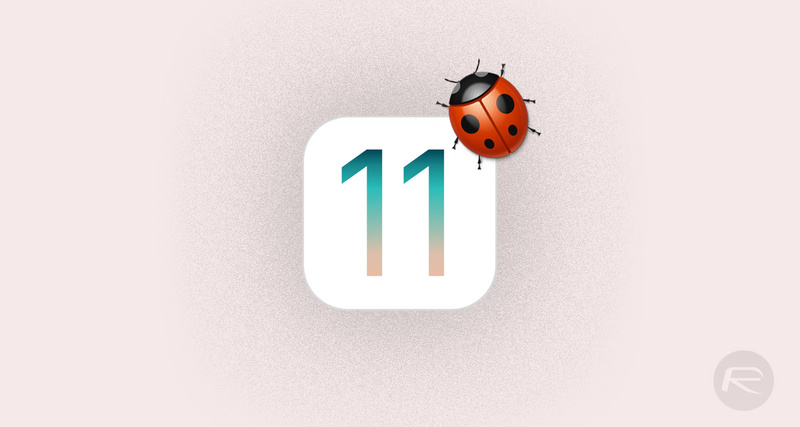 Given the fact that Apple is pumping through iOS 12 updates, most of the focus of the jailbreak community is on that platform and whether or not any knight in shining armor can step forward and release something tangible which supports devices running iOS 12. To date, we’ve seen lots of promise but nothing overly concrete in terms of a potential release into the community. Now, thanks to this announcement by tihmstar, the focus is likely to shift back to iOS 11.4.1. The tweet confirms that progress has already been made in terms of achieving read privileges at a kernel level but also expresses the caveat that it actually requires the headphone jack to work in its current state. If no additional work is carried out or any further exploratory work put in place, then this exploit would offer compatibility with devices that come with a 3.5mm headphone socket. For those who may not know, that limitation rules out devices powered by Apple’s A10 and A11 chips, such as iPhone 7 and iPhone 7 Plus as well as iPhone X, 8 and 8 Plus. The A12 handsets – iPhone XS, iPhone XS Max, and iPhone XR are automatically ruled out of this equation as they ship with iOS 12 and don’t support any version of iOS 11. 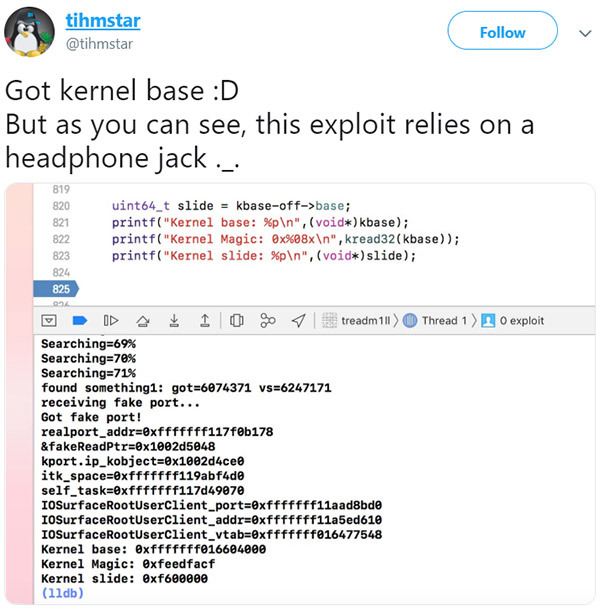 Tihmstar has also shared a further tweet which not only confirms that the developer managed to get kernal base, but also proves that the exploit relies on the existence of a headphone jack. It’s worth mentioning that this work is currently a long stretch away from being something that could be made available to the public or which could turn into a jailbreak. The ability to write to the kernel needs to be achieved and the developer also needs to settle and commit on a de-facto route forward in terms of the aforementioned challenges and limitations. We’ll keep you updated as and when it progresses. While I was waiting for jailbreak, I moved to Android. My pocket PC has to work, not for beauty. Apple makes beautiful devices that do not work me. Sorry. I’ve been enjoying this reality for months now. beta 3. Whilst appreciating the work of the jailbreakers, do something a bit more up to date, like 12.1.1 for example.